Hot Shot crews from Mendocino, Calif., use backfires to help contain the County fire along Highway 129 near Lake Berryessa in Yolo County, Calif., on Tuesday, July 3, 2018. 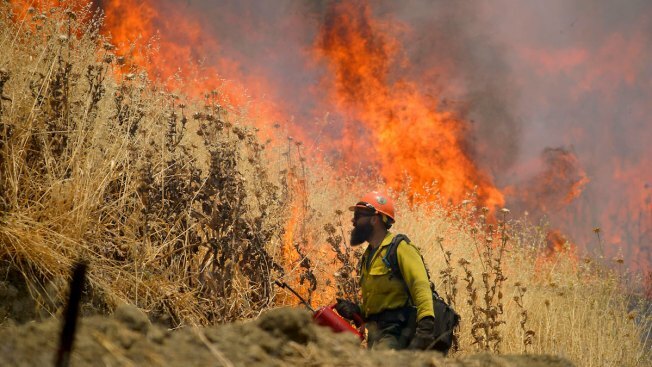 The County Fire, which has consumed more than 88,000 acres in rural Yolo County, was 48 percent contained as of Saturday morning, Cal Fire officials said. Crews were making progress, despite steep and inaccessible terrain that has made fighting the blaze difficult. 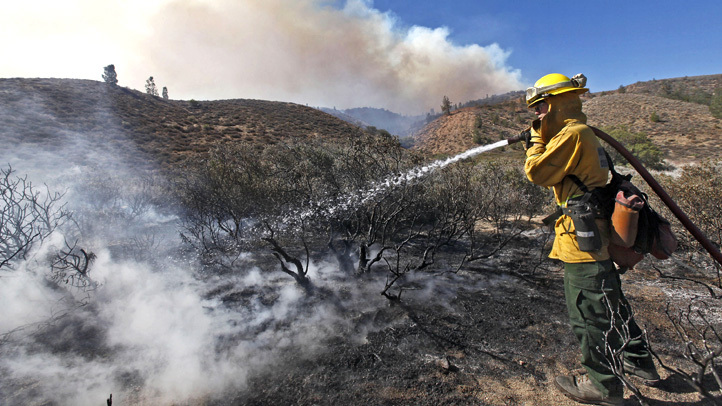 Higher temperatures, low humidity and winds are expected to increase fire activity today. 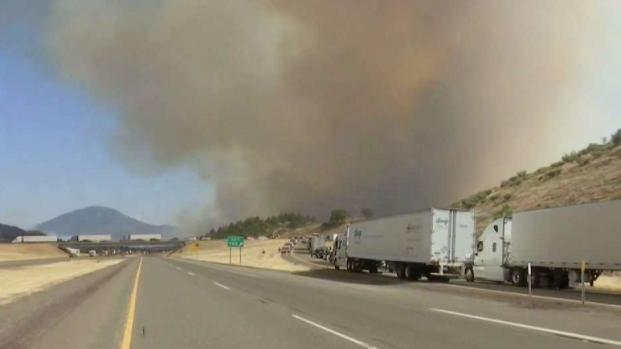 The fire, which started Sunday, has burned 88,375 acres and full containment is expected by Thursday, July 12, according to Cal Fire. No injuries have been reported in the blaze, but 10 structures have been destroyed and another 110 remain threatened.